Landing Pages & CMS Workflows - CTRL+CLICK CAST - We inspect the web for you! Your browser doesn't support HTML5 audio, and won't play Landing Pages & CMS Workflows with Shawn Maida. You can download this episode to play on your preferred media device, or you can read our transcript. Landing pages are bound to come up for almost any type of client. How can we designers and developers help clients reach their conversion goals, while making it easy for them to create these landing pages? Special guest Shawn Maida returns to the show to discuss how his company uses landing pages themselves, as well as how they build landing pages for clients. We run the gamut of different types of landing pages, as well as different client goals. We discuss solutions we’ve built in ExpressionEngine, Craft and Statamic, as well as alternative options when a CMS doesn’t make sense. And we talk about the importance of testing and measuring success. Are Your Landing Page Easy to Change? Lea Alcantara: This episode is brought to you by Craft Commerce, a brand new e-commerce platform for Craft CMS. 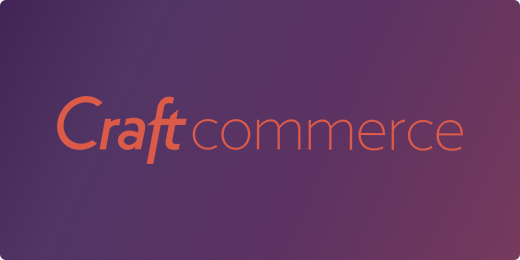 If you’re a web shop that likes to create custom-tailored websites for your clients, you’re going to love Craft Commerce. It’s extremely flexible, leaving all the product modeling and front-end development up to you, and it’s got a simple and intuitive back end for content managers. To learn more and download a free trial, head over to craftcommerce.com. Emily Lewis: Today we’re excited Shawn Maida is returning to the show this time to talk with us about the different CMS approaches to managing website landing pages. Shawn is an established leader in technology, with over 15 years of professional development experience. Driven by a passion for people and technology, he founded Visual Chefs in 2005 and since day one he’s worked tirelessly to create meaningful digital experiences through thoughtful interactions with the Visual Chefs’ team and the people they serve. Welcome back to the show, Shawn! Shawn Maida: Hey, thank you. You guys make that intro sound, like, so good. Shawn Maida: Yeah. But man, I want commercials with you all talking. Lea Alcantara: Nice. Well, can you tell our listeners a bit more about yourself? Shawn Maida: Sure, like you said, I started Visual Chefs in 2005. I have Visual Chefs and EE Coder, which is super confusing to some. Shawn Maida: But in a way EE Coder started as like a glorified landing page. Shawn Maida: Later it kind of became a company or a service, and then we’re actually in the process of rebranding, so within a few weeks both Visual Chefs and EE Coder will go away, which is super exciting to me after ten years. Shawn Maida: But yeah, I live in Richmond, Virginia in Church Hill. I play soccer. I have three small children, 5, 4 and 2 almost. Shawn Maida: So that’s pretty much the majority of our time is chasing them around. Emily Lewis: So Shawn, and not to put you on the spot, but can you share anything about this rebranding? Is it all just going to be like one name one company? Shawn Maida: So yeah, well, we work with the folks at Focus Lab, which was just an amazing experience to give them a little bit of props. We really stepped back and looked at the work we were doing and what our customers were coming to us for and decided that it just made the most sense like that either brand was currently representing us the way we wanted and we’ve just changed over ten years. Shawn Maida: So within the next like four or five weeks, we should launch Foster Made, which is our new brand. Shawn Maida: So I’m super excited. Emily Lewis: How long has the process been going from start until a couple of weeks? Shawn Maida: Oh, like three years, right? Shawn Maida: We can’t do our own projects. Shawn Maida: We’re not working it with Focus Lab that long, but I think just us from the point where we said “man, we need to change” to the point where we were like actually doing dev was a couple of it iterations, like a couple of name change explorations with different sort of vendors and companies and then finally arriving to where we’re now really, really close. Emily Lewis: I know how that goes. I can see that. I think one thing I can pat ourselves on the back for is we forced ourselves to have a very limited time frame to get the job done. Shawn Maida: I was impressed with you all when you did it. Emily Lewis: Well, we almost did it with an external force. We agreed to write an article for net magazine that was going to be out and we needed to promote the company in the magazine. Emily Lewis: So that gave us a drop dead deal like we gave them a URL that didn’t exist at the time of the article. Shawn Maida: Sweet. I was trying to use this podcast as my motivation. Emily Lewis: It’s not the end of the world. Shawn Maida: We’re going to Africa and we’re not going to make it. Yeah, but it’s great. Emily Lewis: Well, good. I’m excited to see it and I’m not at all surprised to hear how great your experience was with the folks at Focus Lab, I mean, great people over there. Shawn Maida: That is good. Emily Lewis: Let’s just start at the basics of it all, like how do you define a landing page or how are you seeing your clients define landing pages? Shawn Maida: Yeah. I think as you know, we are like more of a technology company and not really like the marketing brand inside. Shawn Maida: But we do get a lot of requests for landing pages and I do think that we, even in our own work and for our new site and for, like I said, even the whole like sort of EE Coder when it was initially envisioned, it was like a destination I think for people come from external sources, and for us, very often it’s like ad campaigns or marketing campaigns, and so again, what we see is it’s like people coming to a page really off of like some very specific sort of like collateral or search or like user targeting and it’s that page is like trying to tie two things together, like what they were looking for or how they were found and then sort of what that like value add. It’s really like what do I want them to do, and so like for us, that’s like submit the contact form please, you know? Lea Alcantara: In terms of your clients, is that pretty similar they specifically say, “I want a contact form there”? Like what is the purpose for landing pages for clients? Shawn Maida: Right now, we’re working with like a major construction company. They provide like sidings and different building materials, and so I think for them, it’s they’re out running these, like they actually have commercials and marketing ads. Shawn Maida: And it is that these people are like coming maybe for more information so it’s not necessarily like in our case, it’s, “Hey, can you submit this contact form because we want you to hire us.” But for them, it may be like, “Hey, here’s a PDF that we kind of give you with information about our products,” I think ultimately because they want the customer to buy their product. Shawn Maida: But I think that’s answering your question, with people coming really for some information, and so we might build ten landing pages that are all very similar, but the messaging sort of changes based on what people there coming in for. Emily Lewis: Well, we’re doing our own thing with landing pages. We’ve just started for Bright Umbrella, building out landing pages, and ultimately, our call to action is to contact us to hire us, but honestly, I feel like our goal for it was really to get more content in front of clients during the sales process or the proposal process. Shawn Maida: And like what we realized is we actually had different groups of people. We had people that were coming and sort of like exploring our brand and exploring our site, and we had people that were coming in like because they Googled “ExpressionEngine,” and we had an ad for them. Shawn Maida: And so what we found is that by like trying to jam all that content stuff into our like regular site flow, it was actually confusing and by making this landing page, we were able to give people like the specific information or put out the message to like we’re the expert in this thing you came to look for without sort of like convoluting the whole site with trying to say like, “We do Craft. We do EE.” We do it like in the same way. Shawn Maida: And so yeah, I think it’s similar to what you’re saying. Emily Lewis: I think now that we have done some for different clients for different purposes and we’re doing it for ourselves, I think my perspective on it is, one, it’s like a destination from some other place, whether that’s an ad or a pay-per-click campaign or something like that. Emily Lewis: But also we need to be able to create them as you need them. Emily Lewis: It’s almost like we have in the past when you’re thinking about CMS workflows, we thought about blog posts and news as things that might happen daily, and potentially even multiple times a day, and landing pages have that same sort of feel to them versus the more “stable” parts of a website. Shawn Maida: Yeah, yeah. I think that makes a lot of sense. It’s funny to me because, and I’ve said this a couple of times, but it’s kind of how I thought of EE Coder when I first created it, it was really just as like glorified landing page or service page, and so when we started exploring like the Visual Chefs’ redesign, I remember like I made this like document with all of these ideas for companies, and it was really just like ideas for landing pages. Shawn Maida: But I had like sort of taken it way too far, and I was like, “Well, this works, like we just make five or six pages and stand up a brand.” You know? Shawn Maida: And they were like, “No, you can do landing pages and accomplish the same goal without confusing the heck out of everybody.” You know? Shawn Maida: So I agree. I guess it’s great for people coming in off those destinations and kind of getting that picture of what it is that you do that they were just looking for. Lea Alcantara: And the other thing that you kind of mentioned a little bit earlier, especially is you were the client of Focus Lab, you were thinking about SEO. Lea Alcantara: And I think that’s something that a lot of clients, and of course it’s part of their marketing campaign, they think about landing pages, but a lot of them are sold the idea of landing page is simply to increase SEO juice for Google. So how does that work for you? Why was that your mindset when you were first thinking about landing pages? Shawn Maida: I think a couple of reasons probably, I mean, SEO is like this topic that’s been like drilled at us for years, and it’s like mystified, I mean, is maybe the word. Shawn Maida: Like it’s really weird and I mean, it’s like all the spam I get is like, “You need SEO. We need to optimize your site. Your site doesn’t show up.” You know? Shawn Maida: So I think it’s just like in our heads now, but at the same time, like I know the value. I mean, so much of our traffic, I mean, for a lot of our clients comes off of search, you know? Shawn Maida: It’s not just page search. It’s like actual search, organic search, but when you start doing your site, you can, like the new Foster Made brand, like we really tried to keep messaging simple and clean and like not have just walls of texts being thrown at people. Shawn Maida: And that sort of like counteracted what like the SEO people we had worked with in the past would say, “You need more texts. You need so many keywords. You need pages like of just content.” You know? Shawn Maida: So I think that’s why it was in my mind, but I think the idea of like using your blog posts and those sorts of things to get that SEO value. Shawn Maida: But they are still like maybe a little more diluted in a way within like your targeted sort of page, you know? Lea Alcantara: Yeah, I believe because part of it too is that when you have a landing page, you’ve got a shorter URL in general, so that gives you a higher ranking and usually that URL is very, very specific using keywords as well, so that adds to it, plus there’s also internal linking, right? Lea Alcantara: Because the more landing pages that you have, like you can have a blog post and it links within itself, but I believe it’s stronger if you’ve got different landing pages with different URLs that like interlink with each other as well as the blog, as well as the news, as well as the About. Lea Alcantara: Like it’s just all these natural legitimate internal links as opposed to like the black hat stuff like keyword stuffing and all those kinds of things. It’s just a natural way to continually add original content that’s tweaked slightly per page. Lea Alcantara: Even though all you’re doing is a blog post that linked to a page that already exists. Shawn Maida: Right. To me, it’s like you said about being able to stand up those landing pages quickly. In a way, it’s like refreshing because that of my mindset of where I was of like starting services was really exhausting. Shawn Maida: Because it was like such a big undertaking where you’re like see a market need and you like want to address it or just test it out, and it’s like running a few ads and throwing up a landing page could be a really fast process, you know? Shawn Maida: I don’t know why I went down that thought process ten years ago, [laughs] but it was exhausting. Emily Lewis: I think it’s one of the things that we see one of our clients is doing. It’s a little more strategic, but it’s the same vibe that they have a pay-per-click guy. He’s like their AdWords consultant specialist and he’s constantly putting together unique campaigns based on the analytics he’s doing of their audience as well as their site, and each campaign needs its own unique landing page that hits, at least in this case, particular geographic markers. Emily Lewis: So he’s doing pay-per-clicks, let’s say, for the Los Angeles area, so he needs the landing page that’s catered to the Los Angeles area, and then two hours later, he’s got to do one for San Diego and it’s just that sort of rapid deployment, I guess, is the way of putting it. Emily Lewis: But since you were talking about SEO when we were talking about how important good, legitimate content is, let’s talk a little bit about landing page design patterns. Emily Lewis: For example, there are landing pages that are like super long, that they have quite a lot of content, but there’s always the client saying, “They all need to be above the fold,” [laughs] and no matter how many times you try and educate them on the fold, the reality is there’s the desire to have a whole lot of content, but how do you make it important when there are so much of it? How do you identify what’s important? So have you seen any successes with super long landing pages with your clients? But really I think, and what this article was getting at is like you have to test these things, like you have to do A/B testing, and so you use sort of like all this industry knowledge and say, “Well, maybe long pages are bad, let me try and keep it short.” But then you might have a scenario where the content or the thing you’re trying to communicate to the user just like needs more information for people to be able to digest it and you’re just not going to boil it down to like 25 words, and so the article had like some very specific examples where they had tested a contact form above the fold and below the fold on like a long content page and like conversions were significantly better below the fold because users like with that area, it was like users actually need more time to process this topic and so they need that information. So I think what I would say that really like don’t just take like the industry says, “Well, this is good or bad,” but like really think about what does it mean to test that theory a little bit. You can stand up the page quickly. You can edit it quickly. You can set up tests real quick and then you suddenly are converting like 20% higher so why not do that I guess instead of like just a generalization of like good or bad. Emily Lewis: Yeah, I agree with that. I think it’s all contextual, like for example, one of our clients runs major promotions throughout the summer, like giving discounts on registration and things like that, and the goal of those is to really get a focused bit of information to their audience base really quickly that kind of conveys a sense of urgency. They’re usually like time based kind of things, and so they’re not dense. It’s focused, it’s quick, and that it’s very clear what they want you to do from it. There’s only one CTA. Emily Lewis: And so it’s all contextual. Like you said, not only do you have to test, but think about your audience, what’s your goal? Do you have to go into, “Well, here are all the classes you get with this discount and all these other stuff”? No, you just tell them there’s a discount. Shawn Maida: Yeah. You know, I think it make sense. Like we have client that sells like home-delivered produce and they don’t currently have landing pages, but I’d imagine that if they did, they could be very simple because like they could run ads, they would want people to fill up forms, like because for them, they just really want somebody to come and try their product, but like I think us, like you, like I think that you’re putting that information out there as we are, like not I think just to convey maybe who we are, but I think we want like our clients to understand that or at least to understand that because we want them to have like a certain level of like investment and attachment, you know? Shawn Maida: So like I actually might not want somebody filling out the form without reading a little bit of copy. Emily Lewis: Qualifies people a little bit. Shawn Maida: Yeah, so I think you’re right, like very contextual makes sense, you know, thinking about it. Lea Alcantara: Within the same client too, like the one that Emily was mentioning, our client for that particular promotion, because that one was very specific, was a short one. But this client also has super long ones as well and ones that don’t necessarily even have very blatant CTA. Lea Alcantara: It’s literally for branding purposes and for trust building before they send the other marketing with the shorter CTA. So it’s a part of a bigger marketing campaign really, and how big or how long or how short the landing page is really dependent on what the purpose of that particular specific campaign is. Shawn Maida: Yeah, yeah. It also maybe how targeted your market is, like we’ve been doing one of our larger clients is kind of gearing up for a redesign next year and we’ve spent really months on the phone with companies like Umbel and Dynamic Yield and Optimizely, like evaluating and reviewing platforms, and one of the things some of those platforms too is they provide like personalization and targeting of like user segments, and so the people coming in are like they’re almost targeted better than our Google ads that we run, and so I think that we haven’t gotten there yet, but I’m interested to see how that kind of plays into their ultimate landing pages that they’ll have for conversion because those people will be like potentially like so specifically targeted down to certain like demographics and that sort of thing. Emily Lewis: I think the very nature of what we’re describing is just that like landing pages have to be really flexible. Emily Lewis: And I think the minute you say that word “flexible,” then you’re kind of opening a can of CMS worms. Emily Lewis: Because how do you give them the ability to make a landing page on the fly and typically, this is a marketing person, this is not an HTML person, so they need to be able to drop their content into fields and leave it at that. Emily Lewis: But we have situations we were like some situations we’d like this content at the top and then some situations we want this content at the bottom and then in other times, we want to pull in stuff from a totally different ExpressionEngine channel or like highly, highly customizable. Emily Lewis: And it creates so many different potential ways you could solve it. Emily Lewis: And so let’s talk about how we sort of build the ability for our clients to manage this content. Let’s just start talking like with a basic landing page, like how have you approached that in ExpressionEngine? Is it just like a channel? Shawn Maida: Yeah. So I think first before you get into building them, like that thought process does have to back all the way up into like the design, right? Shawn Maida: So you’re like creation of systems for pages like elements and some like strategic planning of like how these things can come together, like what it’s like when they’re there or not there, because sometimes we’ll see having to build these on the fly, but like the four or five landing pages you get are so distinctly different that it becomes really difficult because it’s not just a matter of content placement, but it’s like a print design it’s been, you know? Shawn Maida: It’s like I’ve got posters that were designed by five people, like I don’t know how to do this. Shawn Maida: But I think when you back up and you start to create these systems, traditionally for us with ExpressionEngine, I think it’s been a challenge really because of like really planning out the options for people. We never really gotten to using something like Content Elements, which I think was intended to allow a little more flexibility on how you published. Shawn Maida: But yeah, it would have been most likely a channel entry or a few with like variables to turn things on and off and with the conditionals and the templates, so if this doesn’t exist, use this, and then really trying to put the notes into field labels or field types that like the people publishing content could understand that, you know? Shawn Maida: And I love ExpressionEngine. I don’t know if that was something for us to do like really well compared to like some of your newer options, you know? Lea Alcantara: Like what newer options? Shawn Maida: No, I mean, as I said, we’ve been using Statamic 2. Shawn Maida: And we’ve been like super happy with it, but to me, both Craft and Statamic have or Statamic has I think what’s called Replicator fields, which are like Craft’s Matrix. Shawn Maida: And so you define a bunch of fields for somebody and then they can sort of reorder their page at will, you know? Shawn Maida: And I think that to me is just kind of really powerful amount of flexibility as that I still like need the design system or I still need a page that’s sort of built in to a system so it will support moving things around. Shawn Maida: Because the pages were so close and it was just like, well, sometimes I need a testimonial and sometimes I don’t. Shawn Maida: And sometimes I need a CTA and sometimes I don’t, and sometimes I wanted it to be like above the testimonial or below, you know? Shawn Maida: I guess to describe this for the listeners, if I was like stacked like Life Savers, something that you can just grab one and move it, you know? Shawn Maida: Grab one and move it up or take one out, and it dynamically changes the page, and to me that’s really like powerful from a publishing standpoint. So I don’t know if you’ve encountered that in EE yet, but for me that’s been a little more difficult, although it’s something we’ve done, but just not as flexible I guess. Emily Lewis: Yeah, we haven’t leaned on the Content Elements add-on that you mentioned for EE which I think might do that sort of move the Life Savers to the top or the bottom of the stack. What we have done, and unfortunately, it’s not the best solution, but it’s what we are able to do with where their version of EE is and where they are in terms making it a major investment in sort of a site we build, like we’re getting close to that point where they’re almost like I think it’s six years and things have changed so much in terms of staff and marketing and all that other stuff. So what we’ve done is we created different templates for the different types of landing pages that they have. Emily Lewis: And then they have Structure so when they’re adding a page, they pick from the landing page that they’re trying to create, and then each landing page is tied to — well, some of the landing pages share a channel, some have their own channel just based on the custom fields, but it’s behind the scenes from a developer standpoint when you know what you can do with like Craft and Statamic, like with this drag and drop, it feels clunky. Emily Lewis: But the users are finding it very workable. It’s very clear to them what they can and can’t do with their landing pages, and we’re able to sort of honestly they come up with like a new landing page requirement, it feels like every four months, and so we’re sort of able to just follow that process each time, which is not so painful. Shawn Maida: Yeah, I think that make sense too. I mean, I think we maybe get spoiled a little as developers by some of the newer CMSs and I still love EE, but yeah, I think we did a website for like a major gift card company and they had sort of landing page concepts and that the flexibility, it worked fine in EE for them to be able to pick templates and be able to choose. They just have a couple of channels that were like essentially for the same purpose, you know? Shawn Maida: I mean, for the most part, like I’ve never done EE training that took longer than like an hour ever. Shawn Maida: So people get it, I think just us, like sometimes developers can move on. Lea Alcantara: Well, I guess it really depends again on the scope of the type of landing pages that your client wants in the amount of flexibility. Lea Alcantara: For a lot of simpler clients, if you just made, let’s say, three different template options and in ExpressionEngine, all they do is just choose which of those three template options are, then that’s pretty straightforward. Lea Alcantara: Once you start having those conversations, then depending on how early you have this conversation, and let’s say this is just a prospect, then that type of conversation actually affects the CMS you choose versus the current CMS that they have. Lea Alcantara: Or if this is a client that hasn’t updated their site or their CMS in a while, then maybe if you start having more and more of these conversations, then maybe the next project is a different CMS altogether in order to save them time and money from making all those changes. Lea Alcantara: And it’s interesting you mentioned Statamic with the changing of the stacks and stuff. That’s definitely the exact same thing for Craft in their Matrix field, and it’s exactly how I built our landing pages at Bright Umbrella. Because it’s funny how you mentioned, “Oh, sometimes I want a testimonial and sometimes I want to have a CTA,” that is literally what I built in Craft. Lea Alcantara: And it literally means just creating something called blocks, Matrix blocks. Lea Alcantara: And you just call it testimonial. Lea Alcantara: And then this other one, this is CTA, and then the other one is an image, and the other one is just a regular text block and the other one is headlines, so if you really want to switch around headlines and not have it attached to a specific paragraph, that can happen too. Emily Lewis: Yeah, the more painful. Lea Alcantara: The more painful it gets, even though it’s like hyper-customizable. Lea Alcantara: So sometimes having like, let’s say, one headline field and one body field, which is the classic still is the best way. Lea Alcantara: Because it’s the easiest to parse for clients or the easiest to parse for us. Emily Lewis: You’ve got to scroll all of them. Lea Alcantra: Yeah, yeah, exactly. I have to scroll and then I have to find it and then I have to drag and drop. Lea Alcantara: But having that option there is great though to be able to drag and drop. So again, it’s kind of like what again is the content that your client is going to make. Lea Alcantara: How do you balance that with administrative headaches and their own idea of technical understanding of things? Lea Alcantara: Because again if it’s a short page and they just want to be able to reorder things, yeah, have as many different content blocks as you want or like conditionals and all those things, and that’s great. But then if it’s like they want to do that giant, long conversational landing page with the contact form at the bottom, then that might become like a giant beast. Lea Alcantara: So that’s just a conversation you have with your client. Shawn Maida: Here’s a copy of Dreamweaver. Shawn Maida: Try the new Dreamweaver 12 with your new CMS. Emily Lewis: So I actually think this is a perfect segue way to a question I actually have later on our list, but all of this ability to customize and the more blocks, the more conditionals you build into the CMS for the content entry process, the potentially more complicated your output is and the potentially poorly performing page you’re building. Emily Lewis: Because your querying the database 30 times or whatever the situation is, and so let’s talk about performance because this is actually a big issue for us with the one client I was talking about with the promotions, their landing pages have to be up because their emailing like 35,000 people, and so if those 35,000 people all hit that page at the same time and it wasn’t built well, the site crashes. Emily Lewis: Like literally, the site crashes. [Laughs] So we’ve had to do a lot to account for that. Have you struggled or found challenges addressing the performance aspect of landing pages? Shawn Maida: Yeah, I mean, I think the performance aspects of CMSs in general, but it does. Like certainly like in the EE world, you keep adding fields. The more fields you add just the slower your system gets overall, you know? Shawn Maida: One thing I’ve really liked about Statamic does far, and I haven’t used it in a high traffic sort of scenario, it’s just fast. Shawn Maida: I mean, it’s text in a file, and so I mean it’s been really fast to develop with and the page is just like, I mean, it’s the same thing you got when you were like generating pages through CE Cache in ExpressionEngine, you know? Shawn Maida: It’s really quick. So I haven’t had that like, and we just haven’t done that much Craft work yet to sort of know, but like in the EE sense for sure, it was. I have a channel with a hundred fields, and it’s slow to work with too. Shawn Maida: But then you’re really like sort of on the back end of that, you’re trying to like cache page output or we’ve gone and like written custom add-ons to get content out of the database just so that we can parse it faster, you know? Shawn Maida: And just like really trying to lighten the load. Emily Lewis: Yeah, I feel like your comment about how fast Statamic is, is exactly what we had Daniel Fowler on the show. Emily Lewis: He used Statamic to build the University of Georgia’s… was it their business site, Lea? Lea Alcantara: I don’t remember. Emily Lewis: When you don’t have the database involved, it’s a huge difference. Lea Alcantara: But that means caching, if you are using a system like ExpressionEngine and install CE Cache and/or Stash and make it as static as possible. Shawn Maida: I think you can do that with landing pages and we’ve done it with news pages, you know? Shawn Maida: And just skip the CMS and just hit that sort of rendered HTML page at that point and really overcome that sort of traffic problem. Emily Lewis: So they have time to clear the caches and get them all regenerated in everything, but that’s rarely the case with this particular client just because they’re making changes on a much more rapid basis so we’re having to kind of come up with new solutions to help them. Emily Lewis: Because we have such aggressive caching in place, because their landing pages are so complicated is why we have aggressive caching in place. Shawn Maida: No, it makes complete sense to me, you know. Emily Lewis: Let’s talk a little bit about it in terms of when you’re building these landing pages, like you come up with your solution, but you really need to know what the client needs in advance, do you have a specific discovery process that you might go through with regard to a landing page the kind of questions you might ask to find out what the client needs and how you might build it? Shawn Maida: But I think really like we take a look at what the client is producing and really try and think through those scenarios for them and then put those questions in front of them, you know? Shawn Maida: “Well, you’re showing those on the left, like we safely assume it’s always going to be on the left.” You know? Shawn Maida: They’re like, “No, can we just draw a circle and I would like it to be anywhere along the circle.” You get kind of weird stuff, but we really are just trying to ask a ton of questions and think through it I think based on that experience over time like what those possible options are, and then really try and communicate the downside so like that performance downside, like is there a potential upside to adding 50 fields, you know? Shawn Maida: Maybe or maybe not, and I think that’s where like you could go back to that actual testing and if we’re like testing our conversions and measuring them and A/B testing, then we might find out. I think that article I have, there’s like an example or it was like they’ve showed an image and the image happened to look like stock photography, even though like it’s not stock photography. Shawn Maida: But just removing the image from their landing page was like a significant increase in conversions. Shawn Maida: A billion options because it really doesn’t change our conversions. We’re just not like accurately measuring that to know. Emily Lewis: The bottom line is you can give your clients as much information as you can about the pros and the cons. Emily Lewis: They make the ultimate decision and then they pay the ultimate price. Shawn Maida: Yeah, and I think that’s like I think again why I see like the value in testing is that maybe it’s reasonable to not put that in the CMS at first, you know? Shawn Maida: And then if they want to change the copy of their landing page, they don’t need to go edit the HTML. They like crack open Optimizely and they edit the content in their A/B test for like almost no money and then they run their hundred users hit the page and then they can see, you know? Shawn Maida: And they’re like, “Oh, well, I’ve put in an image and now this converts a lot better. Hey, could you all like go back and add an image option in the CMS, like it clearly like in some case where it works, so let’s put it in.” But I don’t know, maybe that’s just one approach. It’s actually like stepping back. Emily Lewis: I love it. I love it. It’s like simple way of you know. I think had I thought of that like seven months ago, that might have been the time to get, you know? Shawn Maida: Right. [Laughs] I know. Emily Lewis: I think that’s one of the things I’m learning more and more is that they’re looking to you for answers and sometimes you’re thinking your solutions are only in this one little bubble, but we could easily have taken them in that direction. I’ve worked with Optimizely, but I haven’t done it for a client per se. Emily Lewis: So that would have been an interesting way to sort of deal with that situation, and pretty simple too. Shawn Maida: Yeah, I think I like those services just because of the flexibility. There’s one called Dynamic Yield, and like really we haven’t used them, but we’ve done four or five demos, like pretty in depth demos with them, and that I think they offer similar features to like Optimizely has. I mean, it’s like the fact that I could go into an editor and like just edit what I see is what we’re achieving with those landing pages, but without the sort of technical build behind it. Shawn Maida: So it can be a really good option to consider. Emily Lewis: Have you ever had to work with other vendors when you’re building a landing page solution? Emily Lewis: Yeah, it could be that. It could also be like I was describing, we had to build landing pages for one of our clients’ AdWords consultants, so we were dealing with him directly. Shawn Maida: Yeah. I think kind of all of the above. The Statamic build we’re doing now has HubSpot landing pages. I don’t know a lot about it, but I think we track users kind of across campaigns and across landing pages and conversions, and those are like contact forms or kind of in the site on sidebars and that sort of thing, and then we have like specific HubSpot landing pages with like HubSpot team is building. We’ve done a lot of like integrations where a data from landing pages is getting like shipped off into other systems like Salesforce just because your clients don’t necessarily want that data sitting in ExpressionEngine as much as like we all love Freeform, you know? Shawn Maida: It’s like not necessarily like your CRM. [Laughs] But then, yeah, also I think like we’ve had to add consultants who wants us to do that work, and I think sometimes that can be a challenge, like we have kind of stepped back and really like work together to come to like a mutual place of understanding sometimes, you know? Lea Alcantara: So I’m a little bit curious just in terms of the actual integration stuff, because you’re mentioning, “Okay, there’s the HubSpot landing page.” Is that completely decoupled and separated from the CMS, or is it like “I got this widget code that I’m going to shove it to a template”? Shawn Maida: I think we’ve done both, and like I’m not technically doing this myself, so I may misspeak. But I know we’ve done integrations where HubSpot has kind of given us form code and we’ve put the form in our pages, and then I would say cases where like the HubSpot form wasn’t like stylable enough. Shawn Maida: And so we would like use our own form, but submit through HubSpot’s API, which is fairly straightforward to use. Shawn Maida: So we have these landing pages, but we really want to control the design of them and more so than like the service would let us do, so you still have like conceptually like landing pages in this other system in terms of how you’re pulling data in with like specific form ideas or what have you. Shawn Maida: But those integrations may be a little deeper than just plopping a form on the page or cases where like the client was just not making those landing pages on the site at all. I’m trying to think, but can’t remember the service, but we had a client recently that we were doing some ad. We needed to track like metadata from ads through to Salesforce for them and their like landing page provider was like the one they had a service. Like HubSpot, they could go and create pages quickly. Shawn Maida: But it like caused the gap in their data because everything else we could capture and pass through to Salesforce. Unless you went through their like third-party system and it was like, “Well, now, we’ve got this like users that are like self-contained in this little box, and so getting you real metrics, we have to like look in two places. Shawn Maida: So it’s like there’s a pro and con of that system. Like the pro is it’s really fast and cheap to use, you know? Shawn Maida: The con was that somebody had to go through and dig through data somewhere else all the time forever. Lea Alcantara: So that kind of leads me to the general question like, how do your clients measure, how would you measure the success of a landing page? Shawn Maida: I think that you need to like set some metrics upfront, right? Shawn Maida: Like I think what are we trying to achieve and what are the goals, and then I think like it’s important for us as like the people providing the service to try and find out like what the objective is and what’s measurable, like what that bar is. Shawn Maida: And that you may just be measuring like conversions and then you’d say, “Why am I getting five leads a month? Like I want to try and increase that to ten.” And like that may be the one way you measure your landing page’s success is you’re like, “Well, we are now selling ten boxes of this product instead of five,” and then I think that’s where you go into like maybe A/B testing and you’re like, “Okay, now I’m going to change button color or whatever and see if that goes up or down.” You know? Shawn Maida: And then really I think from there, like one the things we have to figure out for us was like because we have different services and different technologies, and with some of you, it’s a different landing page, you know? Shawn Maida: And that becomes a different group of users, and what I just did on this other landing page doesn’t work for whatever reason, you know? Shawn Maida: Laravel people like pink maybe, I don’t know. Lea Alcantara: How long do you test for? So it’s like, “Great, let’s test this other version of this landing page.” How do you understand if the test is relevant? Shawn Maida: Yeah, I don’t know. I know there are some like recommended probably guidelines for that, and I don’t know what that is and really Steve like leads that work here. For us, I think with our own pages and our own work, we’re not trying to be that rushed, and I guess the volume of leads we get, like I feel I have to look at things for a month to see. Shawn Maida: For me, it’s like our changes are working, and I also feel like it’s like multiple parts. It’s like, is my landing page not converting because my landing page is wrong, or is my landing page not converting because my marketing campaign, it got people was wrong, you know? Shawn Maida: And so I’m trying to like discern that a little bit. So for us we move slowly. One of our clients has a 100,000 like active members. So you might be able to test the landing page in a day, you know? Shawn Maida: Because you’re getting 50 conversions in one day and you can like clearly tell that one of them converted 50% more. Shawn Maida: I think it’s probably contextual and I’m sure there are some guidelines, but I don’t know what that would be specifically other than to say like it probably changes based on your scenario. Emily Lewis: Yeah, and I just want to put it out there as important as measuring the data of like the conversion success of a landing page, there’s also a measure of success from the administrative standpoint. Emily Lewis: And so for her, the landing pages have to convert and they need to be up and online, but it’s also about it’d be easy for her to build them on her own and change them and deal with the workflows associated with them. Shawn Maida: Yeah, that makes sense. I think interesting like you have to make sure it’s like not just easy for her, like you have to make sure it’s easy for the person that replaces her. Shawn Maida: That’s when that like the thing you built goes from awesome to sucking really bad is when their like person changes. Shawn Maida: I think like ease of use really is how intuitive is this is really important and how like good your instructions, you know? Shawn Maida: And I think that’s why those like setting goals and metrics is also like it is good for everybody because it does help like show success for your client, which they need internally and like success for you, which you need. Lea Alcantara: So I’m curious in terms of what success in general means, because okay, in general, we’re like, yes, we got more clicks or yes, we got more contacts, and obviously at the end of the day, all of us the real conversion is the contract that’s signed and a check in the mail. Lea Alcantara: That’s always the conversion for every client and ourselves, but that’s not necessarily what’s going to happen. Do you know, for you personally, or even your clients, is there like a percentage as in like a 10% conversion or even a 5% conversion makes sense? Lea Alcantara: Because I know, for example, email campaigns, if you send it to a 100,000 people and you get 10 to 20% opens, now, let’s not even talk about clicks, just the opens, that’s actually a pretty good number depending on what the sector they’re in. But when you think about like the raw number, that sounds like a low number. Lea Alcantara: So like what general percentages should or I guess like what are clients asking for? Shawn Maida: Yeah, I think that’s a good question. I mean, I think it’s another place where I think it’s just so contextual. Shawn Maida: Like I’m thinking about a client we’re working with now that wants to go from being like they do home renovations and like additions and like they’re the people that come and remodel your bathroom, but they want to go from that to like building custom homes. Shawn Maida: And so we’re working with outside vendor to kind of like do some Facebook ads for them and I think have some landing pages, but like for them, success is like building a custom home, you know? Shawn Maida: It’s not going from like zero to a hundred, it’s going from like zero to one or two, because the bar, they just don’t have it now. Shawn Maida: I think for us, like a 10% increase in like qualified leads would be amazing, you know? Shawn Maida: So I don’t know. I don’t know what like a good, but I think I would really be measuring like talking to the client and seeing what’s realistic, you know? Shawn Maida: How much of their target market have they already, you know. With our one client with like a 100,000 active users, I’m like, “How much of your target market are you already reaching?” You know? Shawn Maida: I can go bring you more people. They’re not like qualified. They’re not like they already know you. They’re not just going to convert. Shawn Maida: I’ll give you more people to that page, but we’ll never going to convert them. Emily Lewis: Yeah, it’s got to be contextual. I mean, Lea, when you were asking this question, I feel like we’re in one of our sessions with our marketing consultant. Emily Lewis: And she’s like, “It’s a long-term process.” I mean, ultimately we’re talking about marketing here. Emily Lewis: And so I think all that Shawn’s points are completely valid because like one client who has had no project in a certain area and gets one, that would be a win. I mean, frankly for us, Lea, if we had one project that came from one of the landing pages, that’s like a win. Emily Lewis: But that number sounds low. Shawn Maida: Maybe I can help you out. I’ll go fill out the form in the next couple of days. Lea Alcantara: Well, I mean, the reason why I brought that up isn’t necessarily just because like I know the answer or that I have an answer. It’s just that I feel like for ourselves and for clients, that we need to set the right expectations, you know? Lea Alcantara: Because they’re paying you a lot of money to do a bunch of things, but that doesn’t necessarily mean it’s going to be one-to-one conversion and that they’re going to get like a giant sale for you, like a custom home is like several hundred thousands of dollars, right? Lea Alcantara: So that’s going to be a long sales process. No one is just going to use your landing page and think, “Yeah, I’m going to sign over my life savings now because I saw this landing page.” It’s one of those things where the sales process is a long process. A landing page is just part of that, and it’s part of a touch point. Lea Alcantara: And sometimes the landing page is just something that potential customer visits several times before they press submit. Lea Alcantara: So it’s one of those things where it’s also like maybe the statistics can be skewed because like, “Oh, so many visits, but then no one is pressing send,” and you’d start noticing that the same IP address maybe has visited it a few times so maybe it’s just that they need more time to contemplate and that’s skewing the stats over like visits versus actual contact. There are so many variables to play with. Shawn Maida: Yeah, it’s like the only option was like a 100% increase, so like the point being is yes, like understanding what those numbers mean is important and understanding like what you’re measuring in, like is it relevant for that scenario and that client is really important? Emily Lewis: All right, well, before we wrap up, you mentioned a couple of articles you read from HubSpot, did you have any resources you wanted to mention for our listeners that we can include in the show notes? Shawn Maida: Man, I can see if I can pull up a few of those articles I was reading for this call. I mean, I can shoot them over. I do think that there was one about kind of the myths of landing pages that I found to be really interesting. I mean, I think HubSpot is obviously selling you their product. Shawn Maida: So I got to read their blog with like that view, but I find their blog to be like fascinating when like reading this topic or kind of researching something for this topic with just some of this data they had there. Shawn Maida: Because they have so many customers doing exactly this, so I think they have good examples there. Shawn Maida: So I think that was probably the most useful resource I looked at. So obviously, your site, everybody should visit Bright Umbrella and look at the landing page examples. Lea Alcantara: How about the A/B testing, so you mentioned Opitimizely. What are the other testing services you use? Shawn Maida: Optimizely I thought was great, and like a lot of the services we were looking at were more like content personalization and segmentation and I think that they just became like more enterprise like pretty quickly. Shawn Maida: So like you have to have $30,000 a month or something. Shawn Maida: But like dynamicyield.com I think was a really cool service. I loved their demos. Umbel I think is like a fascinating product, but kind of a different type of product. I think Dynamic Yield to me had capabilities that felt like pretty close to what Optimizely had, and even services like Mouseflow, which have like A/B testing tools, but are just like video of your page, being able to see what users are doing I think can be like fascinating thing as well, like I’ve seen some really weird things where like users are kind of reviewing it. You can see them interacting with elements on the page in a way that you don’t expect. That causes you to go back and make changes. Shawn Maida: So I think like any of those heat-mapping tools or video tools as long as you have the resources to sort of look at them and monitor them and just not pay like $20 a month or something you never use can be really like useful and insightful. Lea Alcantara: Okay, excellent. Thanks Shawn. Lea Alcantara: But before we finish up, we do have our Rapid Fire Ten Questions so our listeners can get to you know a bit better. Shawn Maida: Hmm, we’re out of time. Lea Alcantara: No, no, this is the last one, it’s going to be good. Shawn Maida: Oh, night owl by far. Shawn Maida: One of my guilty pleasures, man, I drink too much Mountain Dew. Shawn Maida: It is that. It’s unsafe because it’s like the only unhealthy thing I do, but I have an addiction that I need to cure. Shawn Maida: I think the team like we’ve really enjoyed kind of a move to Slack from really being like a Skype-based company. Shawn Maida: So I think as a company like we’d probably live without it, but I think we’ve been like digging Slack for a while now. Shawn Maida: Right next to our new office. Shawn Maida: So I can have a new guilty pleasure. Shawn Maida: I think anything involving heights. Shawn Maida: Like I can’t jump off of like a chair. Emily Lewis: I just have this visually. Remember those cartoons with the little mouse and the person jumping up on the chair like back when we’re in the 70’s or whatever? Shawn Maida: Yeah, that’s me. I’m terrified. Shawn Maida: I guess like I would stand there frozen for hours. Shawn Maida: Man, there’s this like… it’s not my favorite restaurant, but they’re like my favorite restaurant owners right now. There’s just this little market across the street called Pop’s that is like we eat at far too often, but they’re just like great food, great like family-run local restaurant that I feel like is really like trying to care for their like local community, which I think just embodies a lot of like what our values are. Shawn Maida: So Pop’s Market. Shawn Maida: Man, famous, that is a tough question for me. Famous person, can I just pass? Emily Lewis: Like I don’t care about fame. Lea Alcantara: No famous people. Lea Alcantara: Scientist, business person, actor? Shawn Maida: So that’s why I like to stomp myself because I had an idea, it sounded horrible. Emily Lewis: I will let you off the hook. Shawn Maida: All right, thank you. Emily Lewis: All right. So if you could have a super power, what would it be? Shawn Maida: A super power, hmm, this isn’t like a real super power. Shawn Maida: Yeah, those are real. Everybody should have real super powers. My kids are going to be so disappointed. Shawn Maida: I think I would like to be in the mind of like all developers for like a day and know what goes on. Emily Lewis: At the same time? Shawn Maida: Yeah, it’s such an interesting bunch, I guess. Shawn Maida: Oh, like these are impossible questions for me. Shawn Maida: We have a few artists in the office that are producing albums so I’m going to like give a shout out to Alex Mejias in my office and Adam Tsai in my office. I will provide band links on our website for them. Emily Lewis: All right, last question. Shawn Maida: And they’d leave me to go tour. Emily Lewis: Oh, really? That’s cool. Shawn Maida: We support you. Shawn Maida: Waffles with a chicken and like maple butter on top. Lea Alcantara: Nice, nice. Well, that’s all the time we have for today. Thanks for joining the show, Shawn. Shawn Maida: Yeah, thank you so much. It was a blast. Emily Lewis: And in case our listeners want to follow up with you, where can they find you online? Shawn Maida: Well, I think visualchefs.com for now, fostermade.co in the future, and the @eecoder Twitter profile will like become active and convert to @shawnmaida shortly. Emily Lewis: Oh, okay. Excellent. Well, thanks again for joining us. I really enjoyed this discussion. Shawn Maida: Well, yeah, me too. Thank you. Lea Alcantara: CTRL+CLICK is produced by Bright Umbrella, a web services agency obsessed with happy clients. Today’s podcast would not be possible without the support of this episode’s sponsor! Thank you, Craft Commerce! Emily Lewis: Don’t forget to tune in to our next episode. We rescheduled with Matthew Oliphant to talk about data-driven design. Be sure to check out our schedule on ctrlclickcast.com/schedule for more upcoming topics.